Now that the free agency period has certainly died down a bit, it's time for fans to sit around and hope that their team makes a splash with a trade. As for the Mets, they have a very weird roster construction. There are a lot of changes that can be made, but it will take a lot of savvy for Sandy Alderson to pull them off. Here are some of the rumored possibilities, along with my own suggestions that I feel can help the team, and of course, my thoughts on all of these potential moves. The second base situation in Toronto isn't looking great right now. Their starter is whoever the hell Ryan Goins is, and as much as I dislike Daniel Murphy, the Mets can easily trick other teams into thinking that he's good. Sierra is involved in an outfield logjam, being blocked by Melky Cabrera, Colby Rasmus, and Jose Bautista. Another young outfielder is Anthony Gose, and he's been one of the better prospects in their system, so I doubt that the Blue Jays would give him up so quickly. It looks like Sierra is the odd man out, and that's great for all teams in need of an outfielder. Obviously, 35 games was a pretty small sample size, but he was really good in those games, and his age makes this a great move for the Mets. A young guy who is major league ready? Sign me up! That's a better option than either Young right now. Cory Mazzoni is a pitching prospect with pretty good stuff, but mediocre production. Maybe being on another team can help him live up to his potential. Stilson is projected to be a pretty solid major leaguer, whether it be in the rotation or out of the bullpen. Both he and Sierra are really good finds, and I'd love for my Mets to somehow acquire both of them. If this happens...Lucas Duda isn't anything special, and back in November I even said that the Mets should keep Ike Davis and trade Duda. But, at the same time, Rickie Weeks is a worthless baseball player. He's been really bad for the past two years. I seriously hope that the Mets don't try to use him to fill their hole at second base (given Murphy is traded of course). I'd actually rather have Murphy than Weeks, and for me to say that, you know it's serious. Mercer was pretty good last year and can be the answer to our shortstop woes. At least until either Gavin Cecchini or Dilson Herrera come up in a few years. He isn't a star by any measure, but he's solid, which is better than the production the Mets got out of that position in 2013. 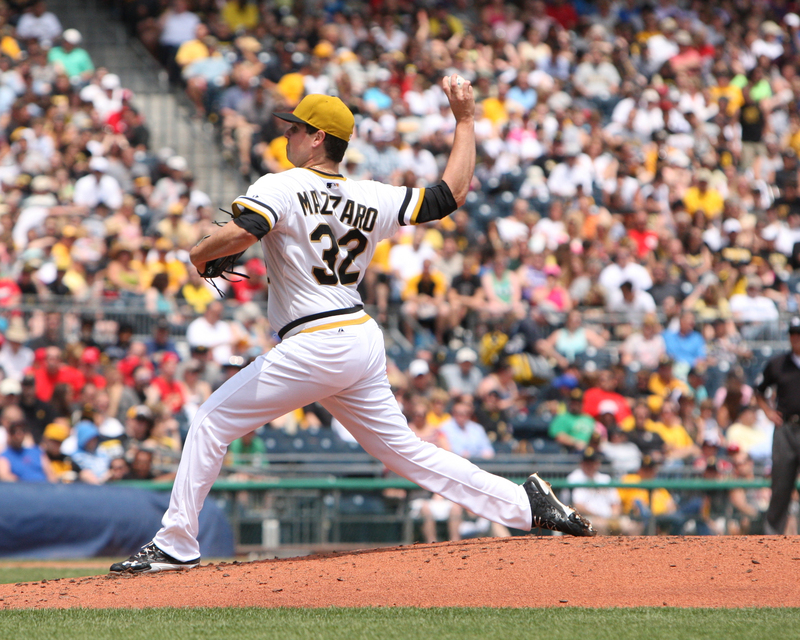 Mazzaro is a good reliever, and should be able to help in pressure situations. Without Justin Morneau and Garrett Jones, the Pirates only have one first baseman: Gaby Sanchez. I'm comfortable giving up Davis here because the Mets will be getting back two quality pieces, and can still replace Davis with Satin. The Angels are in need of pitching, because that was the main reason why they didn't make the playoffs last season. Torres was pretty good for the Mets both out of the pen and in the rotation, so it will be tough to give him up, but the return is worth it. Much like Mercer, I'm not going to sell Calhoun to you as a star player, because I don't know that yet. But, he certainly is young at 26, and was really good in 58 games last year. He had a good amount of power, and he's a pretty good defensive player. He's a fan favorite, and has the ability to be a staple in any lineup for a long time. And he can definitely replace our ginger quota now that Justin Turner is on his way out. Those are only a few of the moves that the Mets can strike, and all, save for the Weeks massacre, will improve the roster not only for 2014, but for the future. It's not out of the question for Sandy Alderson to put together some surprising deals such as these. It's going to be fun to track his activity over the next couple of months leading up to Spring Training.